This is an excerpt from a post on 3 things to remember in LEAN and process communication published on LinkedIn Pulse. Information is the content. 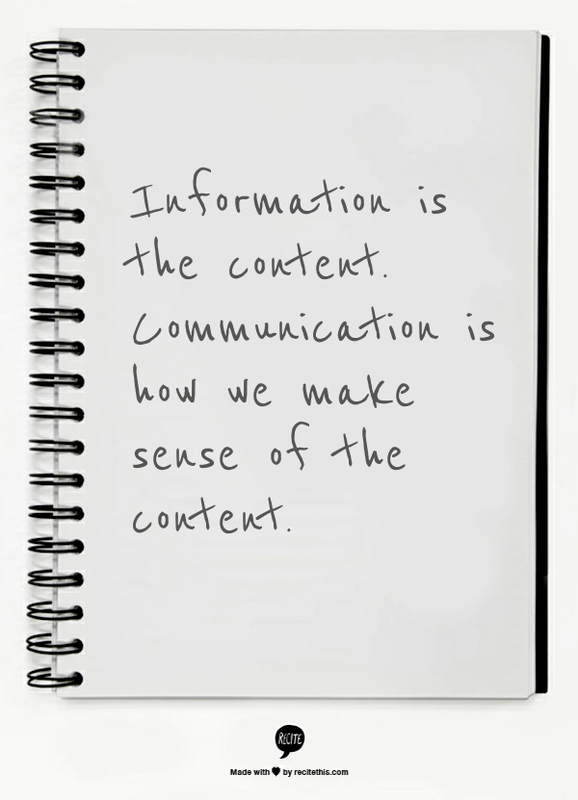 Communication is how we make sense of the content. Data about production metrics, safety instructions, operating standards: these are kinds of information. Information needs to be available at the right time to be useful to employees and managers. However, there is a difference between making information available and communicating. Information is the content. Communication is the way we make sense of the content. Communication is a human act. It is a two-way cycle. It involves listening. Communicating involves providing explanations about why something is important, and how it is relevant to the employee. Sending an instruction about safety on a poster or email is not the same as talking about why safety is important and listening to employee’s views and ideas. Read the whole post on LinkedIn.